We live in an amazing country. We are free to work where we choose. We are free to practice our own faith. We are free to speak our minds. Anyone in this country can go from poverty to wealthy in a single generation. We have so many freedoms that we take advantage of everyday and think nothing of them. But the class warfare that our political leaders are using to divide us is threat to these freedoms. We think that we are “making things fair” by demanding the theft and redistribution of wealth. But all we are doing is trying to kill Boris’s goat. By creating victims and excusing bad decisions, our political elite have championed mediocrity. The bitterness and jealousy that has become the rhetoric of our political debates appears to match that of Ivan’s. But we are not Russians. We are Americans. We do not make others sacrifice for our desires. When we get knocked down, we do not wallow in self pity or blame others. We pick ourselves up and try again. We celebrate the success that is the result of hard work. Jealousy is for those who have nothing. We as Americans truly have everything. After all, we are the greatest nation this world has ever seen. 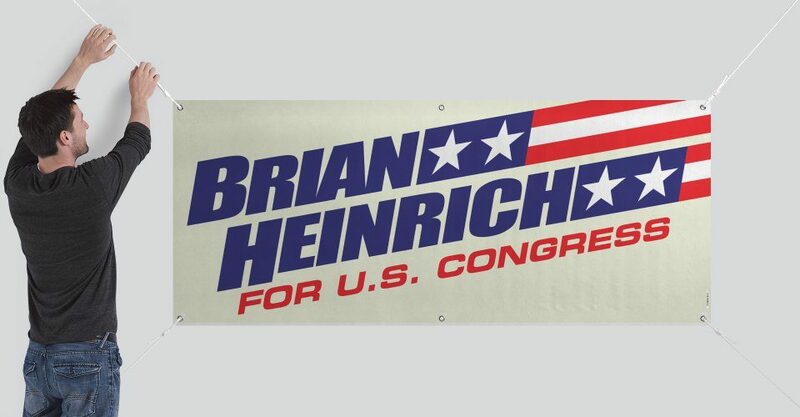 It is about time we start believing that again.. My name is Brian Heinrich and I am running for US Congress. ← The Road to Hell…..